I've been using prescription glasses for years now but I've never been particular as to what kind of lenses are placed on my glasses. All I simply wanted was a clear vision and standard lenses could provide that. During an event held for Essilor Philippines, a worldwide leader in developing and manufacturing ophthalmic lenses, lens coatings and dispensary technologies, we had a thorough eye check up and the privilege to try out Essilor lenses. Of course, I was eager to give it a try so that I could finally compare what these could do as compared to standard lenses. Since I did not ask for anything in particular (and I don't think I could sport Transition lenses), my Springfield Rectangle Glasses were replaced with Crizal Alize No-Glare lenses. 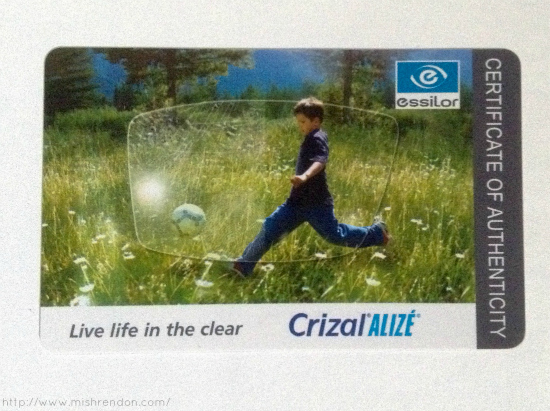 The Crizal Alize lenses offer complete protection for one's eyes and vision. It reduces glare, resists scratches, repels water, resists smudge, and has an eye sun protection factor of 5. 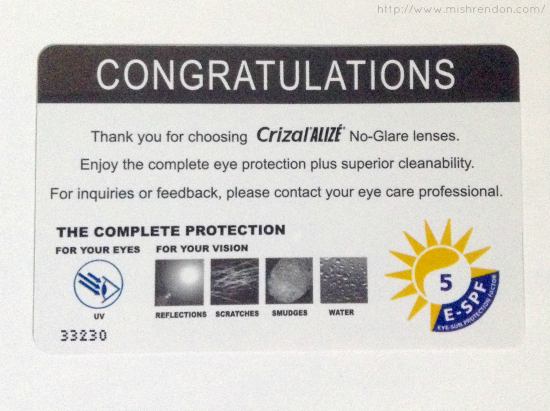 Initially, I can't tell any difference the Crizal Alize has from the previous lenses that I've tried. They all seem the same to me. Of course, my vision was definitely clearer because I now have a higher eye grade. I had only noticed the difference between Crizal Alize and any of the lenses that I have previously used when one time I was drinking coffee and the vapor went straight to my glasses. Normally with my previous lenses, the water on the lenses would just remain there and block my vision. But with the Crizal Alize lenses, the water was all gone in just seconds. Recently, I have realized that my vision seemed to be sharper with these lenses. I can see details in objects extremely clearly and properly. I have also noticed that it was easier to clean the Crizal Alize lenses than any of the lenses I have used before. And even if I was not able to thoroughly clean the lenses, my vision would still remain clear. My glasses are abused but I have not seen any scratches on the lenses yet. I have not noticed anything though when it comes to its anti-glare properties, but the lenses that were installed definitely made me at ease and more comfortable in wearing glasses now than before. And if it will ever occur to you that all lenses are the same, I can assure you that they are not and that Crizal Alize definitely has better performance than any of the standard lenses that I've previously tried. Anyway, here are some tips that I have learned from Essilor Philippines's brand ambassador, Piolo Pascual, during the event I was talking about earlier - the launch of “Seeing the World Better,” a public awareness campaign on the importance of good vision organized. Keep your eyeglasses on. “I am fond of surfing the internet through my mobile device, but I have learned that the blue light from electronic devices can harm our eyesight, so I always wear my eye lenses on,” Piolo shared. Harmful blue light is a risk factor for the onset of age-related macular degeneration, a deterioration of the part of the retina responsible for sharp, central vision. To prevent its damaging effect, eye doctors recommend wearing lenses that effectively blocks the harmful blue light. Reading in a dark room should also be avoided. With only your mobile device as your main light, the glare on the screen can cause eye strain. Hope you learned a lot from this blog post and don't forget to ask your eye doctor for Essilor lenses! Visit your optometrist regularly is a big yes. It is where everything will start to fall. By visiting our optometrist, we gain a lot of knowledge, tips, some tricks and pure honest advises. 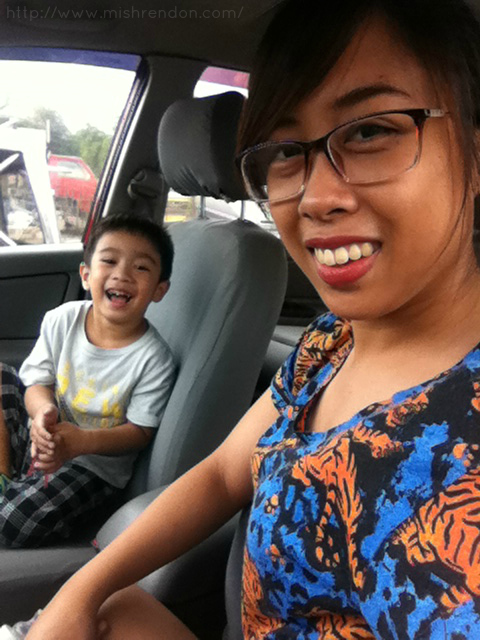 I can't forget the question he asked that shook my head - transition eyeglasses or sunglasses: which to Wear when? Oh boy! Even today I'm still blank about that.